Need to print out just 10 flags for your biker gang? Need your favorite sports team’s logo printed on a piece of cloth? Or perhaps you want a research poster that can be folded in your suitcase. 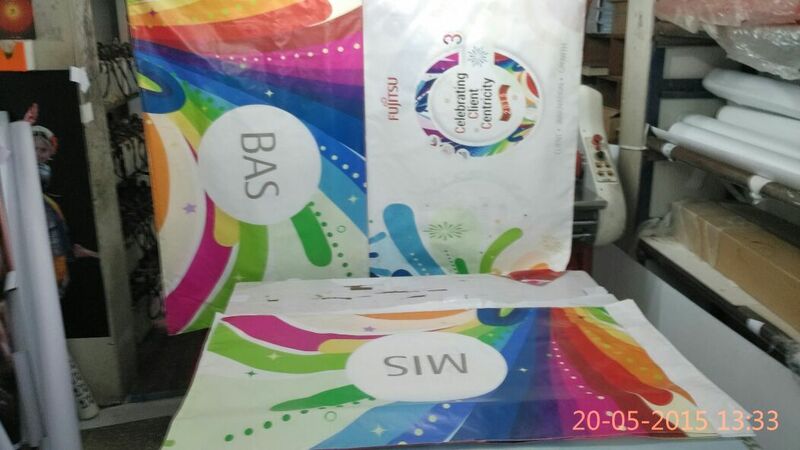 Orchid Digitals, Pune now offers flag printing on satin cloth you meet all the above requirements. Walk into our shop with a full color artwork, be it a logo, a science poster or a high resolution photo… and we’ll digitally print it out on thin fabric, for you. 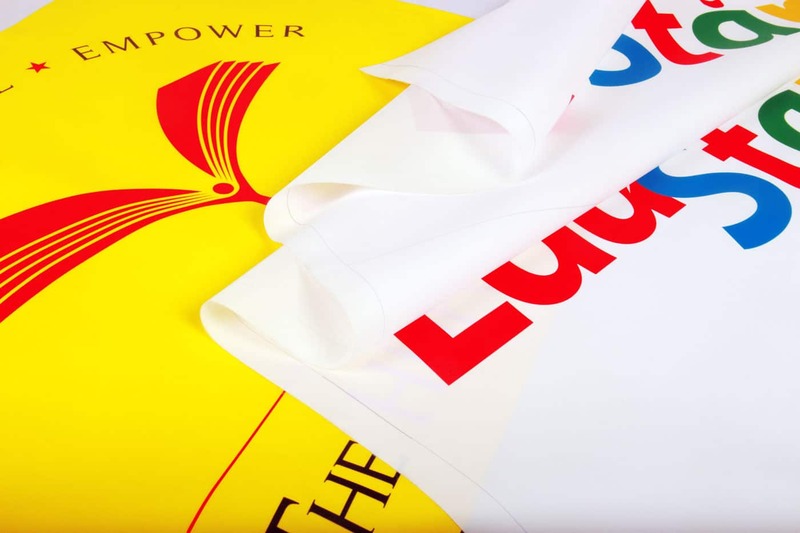 Flags have traditionally been screen printed. But screen printing is not a viable option for generating small quantities. Nor will it work if you need to reproduce half tones or images. Digital printing on fabric or cloth is a relatively new process which addresses the above shortcomings. Also, the whole process is instantaneous. Ready to buy Flags or prints on fabric? We’ll mail you the costs for the same. Tell us a little about your flag or cloth printing requirements by filling in the form below. And we’ll get back to you with an estimate of the price for the same. At Orchid Digitals, we use our high resolution wide format Roland and Mimaki photo printers to output prints on cloth. You also don’t need to bring in the material. We print on our own rolls of fabric. We have a special light weight satin cloth. Since the weight of this material is very low, it easily billows, even in the lightest of breezes. Alternatively, we have a slightly coarser and rougher cotton material known as poplin. Clients opt for this fabric if they are printing posters and need a slightly stiffer feel for their print. These rolls are available in widths of a 3 and 4 feet. So we can produce a seamless flag of up to 4 feet in width. Prints wider that four feet need to be stitched together. The length of the print off course can be as much as you want it to be. We use eco solvent inks to print on fabrics. These inks are highly resistant to fading in the sun light. They are also water resistant. 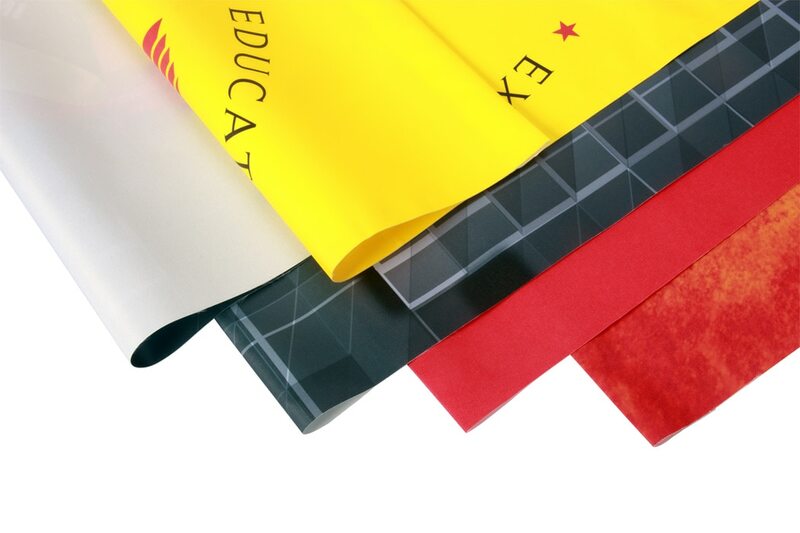 Waterproof prints are an important attribute in the case of flags which need to be used out of doors. 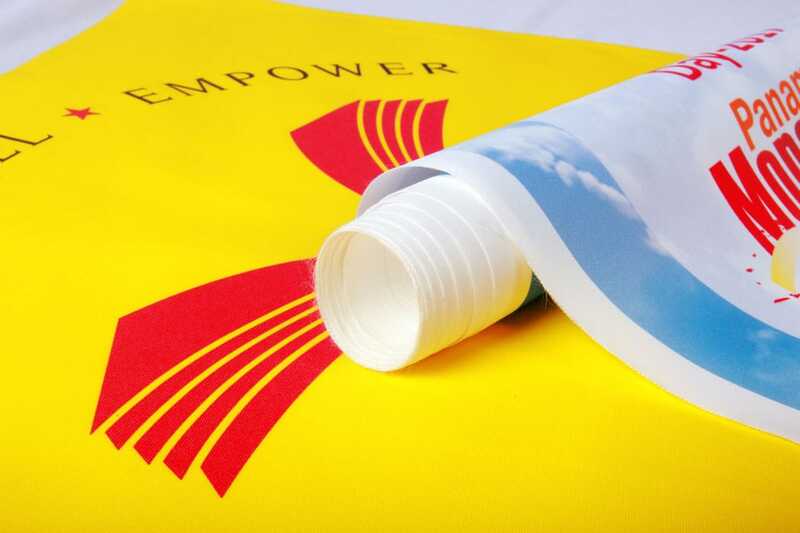 Moreover, eco solvent printing is extremely sharp and can faithfully reproduce images at an amazingly high resolution. 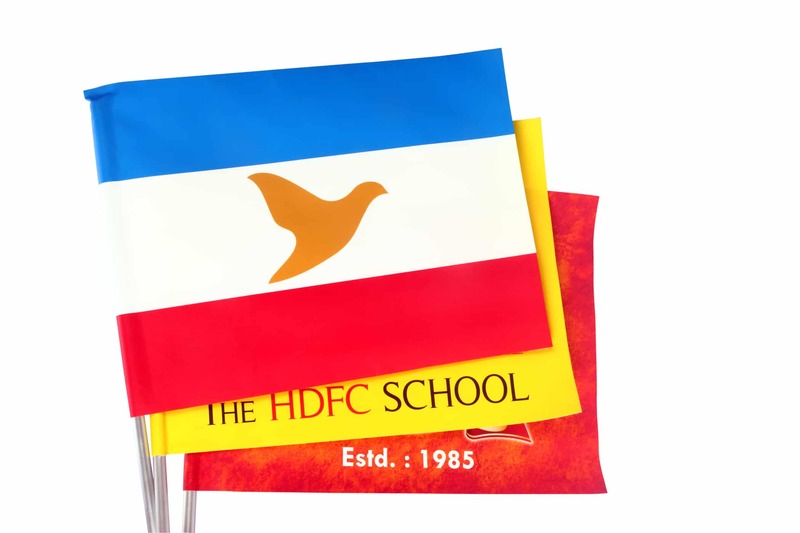 A digitally printed flag can be either single side or back to back. While we cannot print on two sides of the same material, we print two copies of the artwork and and get it stitched together. 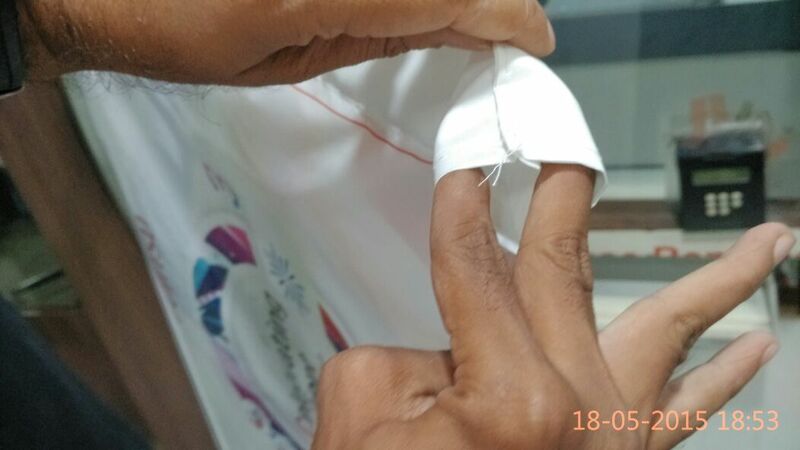 Stitched edges make sense as it prevents the material from fraying. You can also get a loop stitched on the side to run in the hoisting rope. 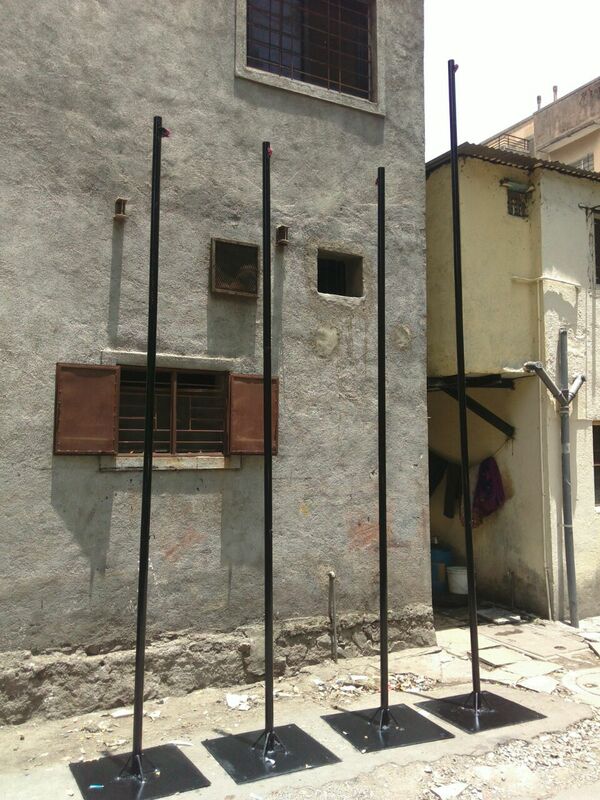 Cost of printing flags in Pune are given below. For significant quantities, we will also get the flags stitched for you. Single side print 70/- per sq. ft.
Back to back printing 140/- per sq. 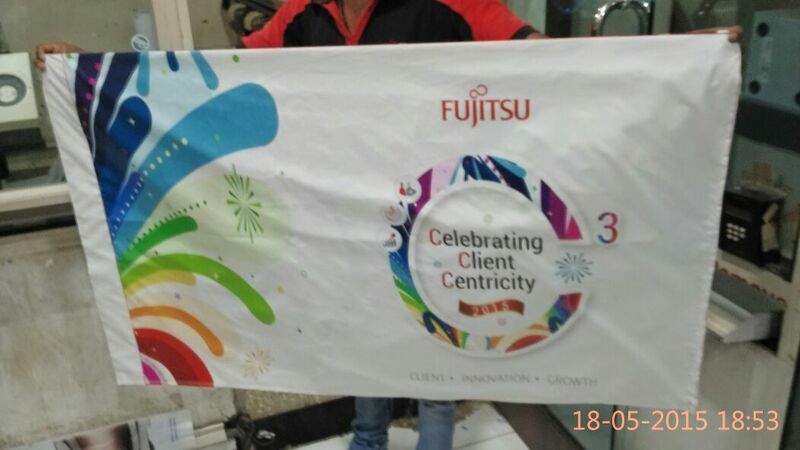 ft.
FUJITSU Corporation is one of our clients who needed flags printed. They were receiving high level dignitaries from the UK. 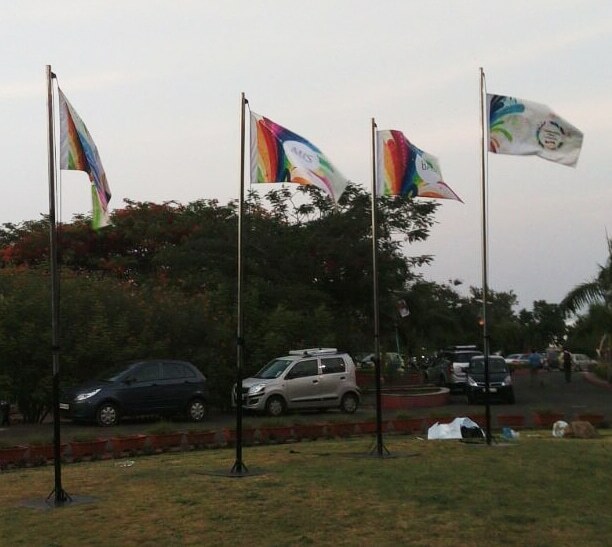 The welcome ceremony included hoisting of the company flag at the hands of the guests. 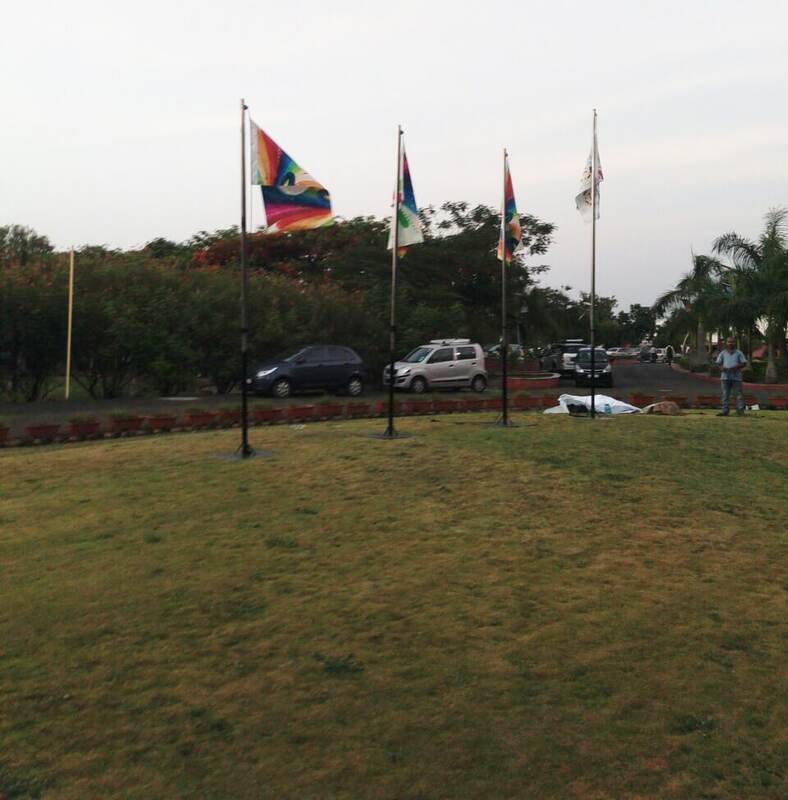 The flag was to be printed on two sides, double stitched and hoisted from a fifteen foot pole, sunk in the garden at Fujitsu, Talawde. Here is the invite they had designed for the event. 6) Print area = multi color school logo to be printed in the center of size 1.5 * 1.5 feet. Each flag should have left side stitched with 1 inch diameter hole to insert the pole and a tag at the bottom to tie the flag to the pole. Three remaining sides border should be stitched. 8) Finished good shipment should be done in 2 days once order is placed. I want to order some flag printing in my different size . so call me to say the price n details. We need to print flag of 5 countrires. 2 copies each. Back to Back printing is also required. It will be used for outdoor and will be displayed permanently. What will be the life of such flags and cost. What is the size you need? Back to back print with stitching is 170/- per square foot. So a standard size of 3 X 2 will cost you 1020/- + taxes. Let me know if this works. 4) Color = Blue, Yellow, Green, Orange,Violet, Red, Sky Blue color each two pcs. 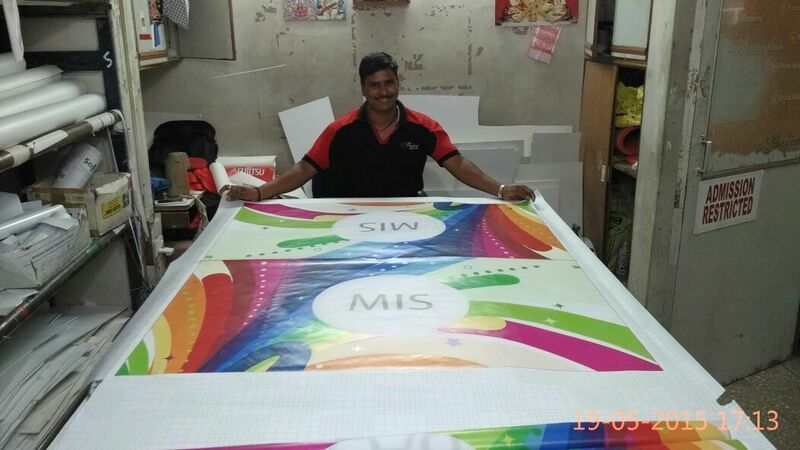 flag printing is 70/- per sq. ft. 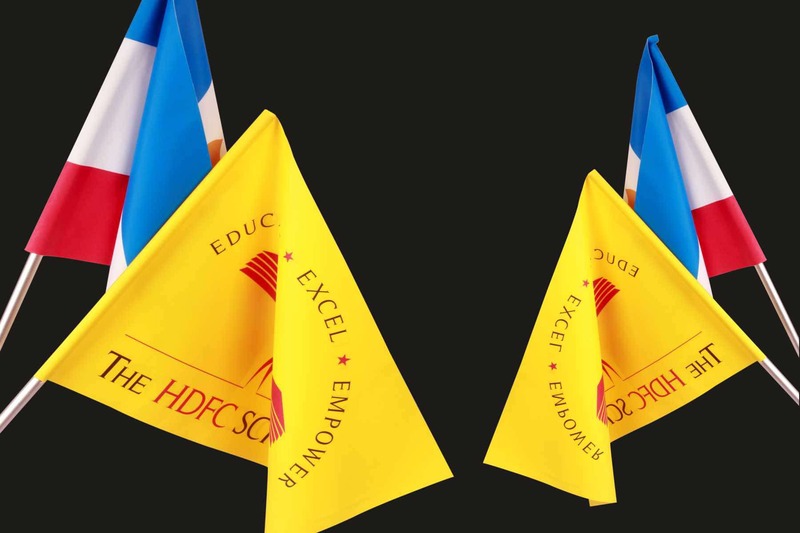 I want to print 2 flags for our school. size : 24″x36″ on white cloth and anather 30″x48″ (for NCC). plz tell me what is the cost and how can i get this . Do you do laser cutting of paper /acrylic/card sheet for stencils ? What is the price for the same ?